A Sponsored Article by Telax. In the era of big data, leading contact centers are taking a hard look at their use of analytics. However, with the increasing tsunami of contact center data available at your fingertips, knowing which data-dots to connect in order to reveal the underlying business insights can be challenging at best. Instead of wasting time and energy in an attempt to boil the data ocean, many contact centers are starting to adopt a “measure smarter, not harder” approach towards analytics. So how can you cultivate this mentality to uncover those stronger business insights hiding amongst all your data? Read on for a few simple, yet powerful tips. Historically, contact center metrics focused on cost-reduction by measuring “occupancy rates” and “agent call-handling efficiency.” The data used to measure these turned them into largely punitive Key Performance Indicators (KPIs)—indirectly discouraging Agents from attempting to create a more rewarding customer experience. For example: In an effort to increase the number of calls an Agent can process, it is common to measure “average handle time.” However, a KPI like this often does more harm than good as it promotes a “get them in, and get them out” mentality among Agents who strive to hit aggressive call-handling time targets. While this kind of quantitative KPI is used with the intention of promoting efficiency, it actually achieves the opposite—leading to a greater number of unresolved inquiries and countless repeat customer calls. Purely quantitative metrics, like the above, reflect a mindset that continues to define contact centers as “pure cost centers.” This is especially true for contact centers focused on customer support. Categorizing contact centers of any kind as “pure cost centers” diminishes any expectation of a contact center reaching its true potential as a serious value-generator for a company. With the rise of social media and ever-growing understanding of the effects good customer service has on profitability, it has become vital to create a contact center environment that both enables and encourages Agents to deliver a better customer experience. Today, one of the most popular contact center metrics is first-call resolution. Although the name likely gave it away, first-call resolution measures how many times an Agent is able to resolve a customer issue during the first call. While this KPI still puts an emphasis on efficiency, it also values quality customer service over speed. Now, before you jump to implement popular KPIs like first-call resolution, be sure they are in fact the best performance measurement for your contact center’s individual needs. 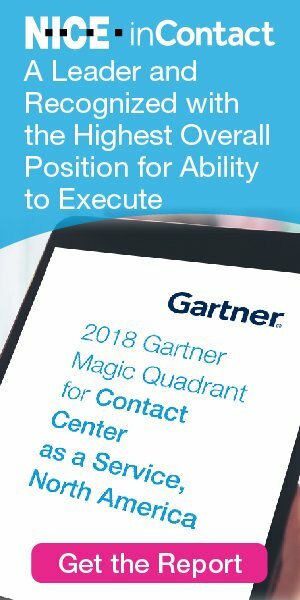 It is important to ensure that your choice of metrics helps you achieve your particular contact center’s unique business goals—even if you have to buck the trend to reach them. As an example; if your contact center handles emergency calls, speed would indeed be a critical KPI. Your contact center contains loads of useful data compiled from countless customer interactions. Individually, these statistics and feedback data can only paint a snapshot of the entire landscape. But taken as a whole, it is a treasure chest full of possible insights into trends and patterns about customer behavior, potential product flaws, necessary service improvements, and even new market opportunities to win over a previously untapped client niche. With an eye on the right reports and metrics, one large Insurance Company was able to tap into its contact center data to identify a direct link between weather and call volumes/call duration. It discovered that every time a storm system generated 4 or more inches of snow, its contact center received 6% more calls, with a 10% longer average call time. Identifying this trend early allowed the company to be properly prepared for the next snowstorm with a better staffed contact center. In addition to identifying trends and demands in the marketplace, smarter analytics can also tell you a lot about what’s going on inside your contact center operations. Although all calls are different, adding contextual data on top can help you identify similarities, pointing to areas with room for workflow improvements. Consider this: If 20% of your calls take 80% of your time, it’s worth assessing whether those longer calls should be handed off to someone with more expertise. In other words, if you can identify a common thread linking particularly tough support requests, you could consider establishing a designated expert team to address the specific issue, and improve your overall contact center problem-resolution efficiency. Similarly, if a particular Agent takes substantially longer to process a certain type of request, this may hint at the need for additional training. It’s good to remember that the use of strong analytics is not limited to customer calls. One workflow area that often gets overlooked is the time it takes an Agent to finish writing up call notes after completion of a call. This can lead to the overall work-time being undervalued as an Agent may be off the phone, but not yet ready to take on the next request. Allowing Agents to add their current availability status can address this issue, and further streamline call queuing. Proper analytics can also allow managers to monitor the frequency with which Agents use certain types of software. This can help you identify redundant or underused software and focus on optimizing and investing in the heavy-lifters instead. The effective use of analytics can not only transcend customer calls, but even the contact center itself. While the quality of the customer experience is often the sole responsibility of contact center management, it may also be influenced by outside factors. This includes any interaction with non-contact center aspects of an organization—just consider all the logistics (and missed analytical opportunities) that arise when those other departments aren’t using the contact center software. Unlike most over-the-top cloud solutions, Telax’s unique partnership with your Communication Service Provider enables your cloud contact center platform to become part of your unified communications by integrating directly within your Service Provider’s network; delivering increased reliability, superior voice quality, and faster more accurate resolve times. The only full-featured, powerful, flexible, and customizable Cloud Contact Center platform built right into your Service Provider network. Recommend better contact center metrics to gain actionable business intelligence for Senior Management. Provide continuous training to ensure the most effective use of our simple yet powerful analytics and reporting tools. Offer ongoing staff training leveraging industry best practices to improve the collection and aggregation of optimal contact center metrics for your goals. Provide you with continued premium support via a dedicated technical team. For more helpful resources, visit telax.com.